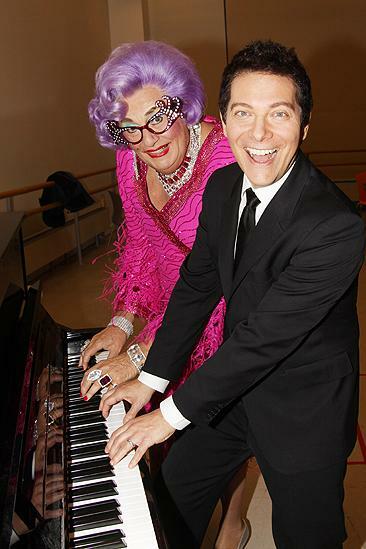 Dame Edna or “Miss Jeunehomme”? We all know about the paradox of the New Media Age: information everywhere, our memories now downloaded onto our phones, instant access to any fact, but…is this overflow of info making us less critical? Just which of those “facts” are actually true? Nowadays it’s not just the ocean of information that’s the problem: it’s how much bad information is out there, from dangerously misguided “medical” advice to half-baked assertions and those incorrect/half-correct little memettes on which music writers rely far too much — and in the process keep in circulation. This is where the new media ironically end up working against the diffusion of knowledge. The problem is that certain factoids that sprouted up somewhere eons ago, in a seriously outdated book or note, might have represented the best knowledge back then (or sometimes just a brazen guess), but these end up getting repeated thanks to the laziness of program annotators. Especially once they’ve become enshrined in Wikipedia, there’s an echo chamber effect. Ultimately it’s harder than before for the actual facts to emerge from the clutter. I recently ran across an example of this while researching a relatively early Mozart piano concerto: the Piano Concerto in E-flat major, K. 271, dating from the composer’s years in Salzburg, in January 1777 (when he just turned 21). 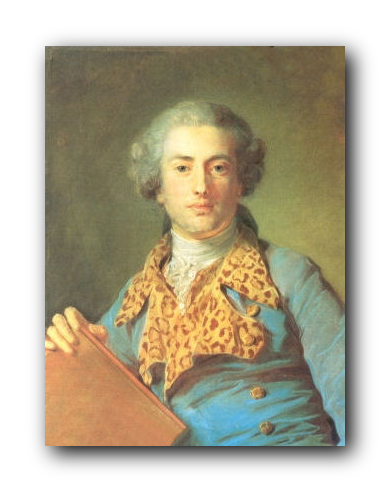 It’s still known by the nickname “Jeunehomme” (even though Mozart referred to the French woman for whom he wrote it as “die jenomy”) because the real story somehow fell through the cracks. A French biographer later decided that Mozart — that erratic, fun-and-games speller — was actually writing shorthand for “Jeunehomme,” or perhaps just trying to write the French name down impressionistically. That’s why the question of which pianist Mozart had in mind for K. 271 — perhaps he just wrote it for himself after all? — isn’t a trivial, pedantic one: this is a genuinely watershed composition. The routine story outlined above was all fine and well until about a decade ago, when the Austrian musicologist Michael Lorenz, in an amazing feat of detective work, discovered that there was a very real musician behind this: Louise-Victoire Jenamy (1749–1812), eldest child of Jean-Georges Noverre, a major figure in the history of French ballet and a very good friend of the Mozarts. Maybe I’m making far too much of what seems to be a minuscule point that doesn’t really merit this attention. It’s not exactly the equivalent of Hitler invading Poland, true enough. But it honestly seems to me there’s more at stake here than an obscure academic footnote. What bothers me is that this is a symptom of the bad info out there that just keeps replicating. When the latest research is so easily accessible via a google search, there’s less excuse than ever not to question received ideas. Ignoring the latest discoveries seems to only underscore the reputation of classical music as mummified, out of touch with the present day. And there really is an interesting story lurking behind Lorenz’s research. You’d think that a scenario involving a woman pianist who apparently had some kind of solo career in the 1770s would inspire more curiosity. Sure, there were plenty of women students at the time, and Mozart wrote piano sonatas and the like for them, but this is a major standout piece in his own career. I wonder whether any more evidence about Louise-Victoire Jenamy née Noverre will turn up. Seems a ripe topic for a speculative novel….